Its also special because you can’t delete it, but only hiding from list view is possible. May be for a normal situation, where you don’t want to make custom list representation, this behavior is not a problem. 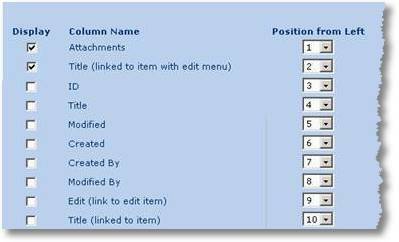 But imagine the situation you want to move the context menu into next column in you list or the situation where you want to have custom link in the other column. Web user control or Webpart ? I am not a good teacher in webpart and I believe there are many webpart’s sample out there. I also don’t want to push you to jump into webpart development. 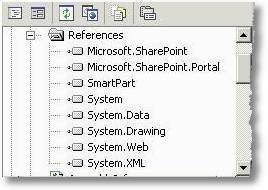 Therefore I will use web user control to solve this problem, which is then included into Sharepoint using SmartPart v2. Building web user control GUI is as easy as drag and drop operation, so for novice Sharepoint developer, it won’t be a problem. The important thing for us is getting experience with Sharepoint list, providing quick and easy solution. Suppose we have a simple List with two column (Title and New Linked Column). Figure-2 shows default view from Sharepoint, and we want to move context menu to the next column. 1. In the new web application project add Web user control class and name it “CustomLink.ascx”. 8. Compile, open SmartPart and use its procedure to show the new web user control. (Figure 4). What I am showing here is one of many ways costuming the List view. I’ve included a very basic web user control to show you about and giving insight to all of you. The code is not intended for production, because I’ve removed many processing sequence.